After the independence of Armenia and Karabagh, neither the city of Stepanavan, in the northern region of Lori, which was severely damaged during the earthquake of 1988, nor Stepanakert, the capital of the Republic of Mountainous (Nagorno) Karabagh, changed their names, even though they had been renamed after a famous communist revolutionary. Stepan Shahumian was born in Tiflis to a working family. He studied at the Royal School in his hometown and then followed with university studies in St. Petersburg and Riga (1898-1902). He was attracted by Marxism in early 1900. He graduated from the philosophy department of Alexander Humboldt University in Germany in 1905, while being actively involved in politics following the line of Vladimir Lenin, the leader of the Bolshevik fraction of the Russian Social Democratic Party. 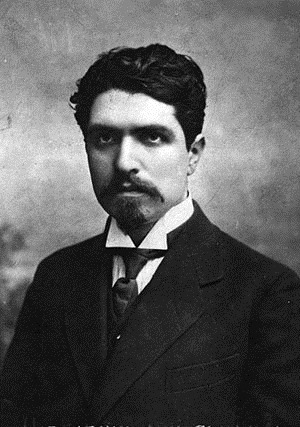 Shahumian returned to the Caucasus in 1905 and became a leader first in Tiflis and then in Baku from 1907, both actively in the field and as an editor and polemicist. After being exiled to Astrakhan in 1912, he returned to Baku in 1914. He was arrested in March 1916 and exiled to Saratov, and liberated only after the February Revolution of 1917. He returned to Baku once again, and led the Soviet of Workers and Villagers, which in November 1917 took control of the city. Shahumian was designated Extraordinary Commissar for the Caucasus in December. The Turkish army expanded its military campaign on the Caucasian front in late March 1918; encouraged, the Azerbaijani Musavat Party stepped up its anti-Soviet work and attempted to seize Baku to establish its own regime. After the crushing of the revolt, the Soviets took full control of the city government and established an alliance of Bolsheviks, Left Socialist Revolutionaries, Mensheviks (Social Democrats), and Armenian Revolutionary Federation members, chaired by Shahumian, which was known as the Baku Commune. The Bolsheviks clashed with the A.R.F. and the Mensheviks over the involvement of British forces, which the latter two welcomed. In either case, Shahumian was under direct orders from Moscow to refuse any and all aid offered by the British. However, in July the alliance broke and a new government replaced the Commune by the Central Caspian Dictatorship, with an alliance of Right Socialist Revolutionaries, Mensheviks, and A.R.F. members; British forces temporarily entered Baku to abandon it later. On July 31, the 26 commissars attempted the evacuation of Bolshevik armed forces by sailing over to Astrakhan, but the ships were captured by the military vessels of the Dictatorship two weeks later. They were arrested and placed in Baku prison. The city fell to Turkish forces, despite the heroic resistance of the Armenian population, which executed the massacre of 15,000 to 20,000 Armenians. Amidst the confusion, Shahumian and his fellow commissars either escaped or were released on September 14. They boarded a ship to Krasnovodsk, where upon arrival they were arrested by anti-Bolshevik elements. In the end, on the night of September 20, Stepan Shahumian and the other 25 Baku commissars were executed by a firing squad on a remote location on the Trans-Caspian railway. Together with Shahumian and various Azerbaijanis, Georgians, and Russians, six other Armenians perished: Arsen Amirian, Suren Hovsepian, Armenak Borian, Baghdasar Avakian, Aram Kostandian, and Tateos Amirian. 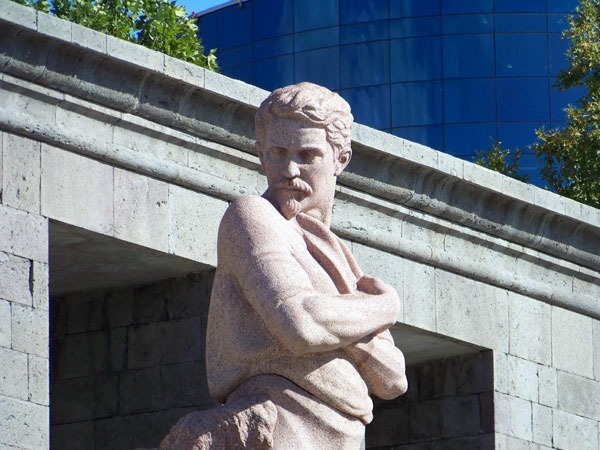 A statue of Stepan Shahumyan located in central Yerevan.